The lake gets rowdy, the skies stormy, the wind and waves kick up, but still a few brightly colored leaves hang on into the late fall. 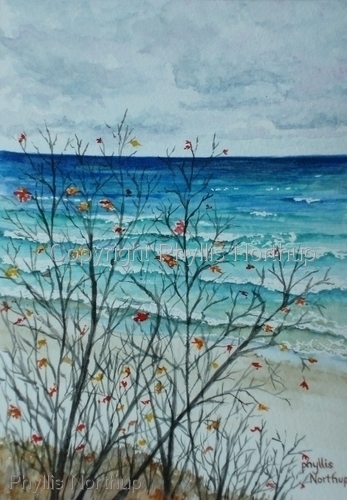 This giclee print from an original watercolor is one of a series of paintings depicting the seasons. Single Mat ready for a standard 8x10 frame.